How well do you know your customers? What do they expect from your service? What don’t they expect, but would be pleasantly surprised – even delighted – if they get it? Most online sellers have some idea what their customers want, but few have approached the question in a structured way. They base their opinions on emailed comments from a few customers, or from talking it through with friends and family – who aren’t their customers at all. That’s a shame, because a strong understanding of your customers can make the difference between a mediocre business that lists products and fulfills orders, and an exceptional business – one that customers talk about and recommend without being prompted. So how can you get a strong, rigorous understanding of what customers want? Discover what delights customers and helps you stand out from the crowd? The Kano model is a tool which can help you do just that. I’ll explain each of those categories, then look at Kano’s process for assessing features and deciding which one of the three categories they belong to. It works for features you already have in your service, as well as those you are thinking about adding. Packaging orders so they arrive undamaged. Providing all the must-have features will not delight customers, they are simply required for a basic level of satisfaction. Without them, your business will struggle to be successful in its market segment. The amount of time returns are accepted for. It’s a good idea to provide as much as possible of linear features. But there may come a point where the cost of providing a little more of a feature increases exponentially, so it isn’t worth doing for the small increase in customer satisfaction. For example, improving the speed of free shipping will increase customer satisfaction, but perhaps not enough to make it worth paying for a higher class of service from your carrier. These features result in great customer satisfaction, and may enable you to add a price premium. However, if they aren’t present customers won’t be unhappy – these are features they were not expecting, or perhaps didn’t even know existed. Very high quality product photography. The bar has been raised high for photography, but there are still exceptional examples such as Ties.com and Threadless. More examples at Smashing Magazine. Also see our guide to Ecommerce Product Photography. Particularly apt or attractive packaging. Man Crates ship gifts in wooden boxes complete with crow bar, and clothes from Trunk Club are meticulously presented. More examples at Replicator. Free gifts, gift wrapping or samples. Florist Bunches includes free chocolates with every order, and cosmetics retailer Crabtree & Evelyn gives both a free gift bag and a free sample. Delighters might not be easy to provide, but their effect on customer satisfaction is dramatic, as shown in the diagram below. 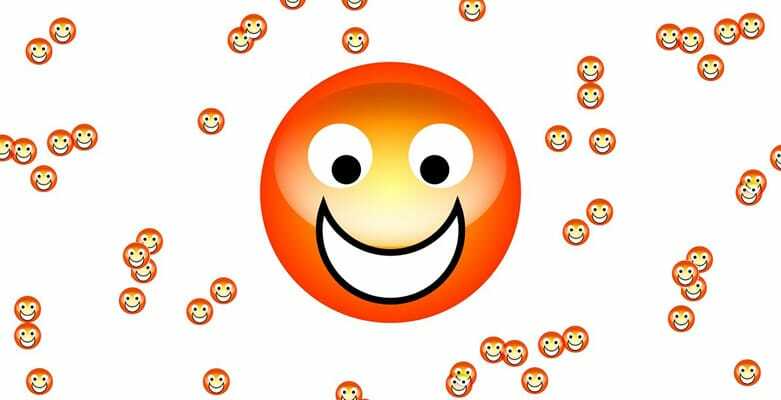 Almost all must-haves are required to achieve even an “indifferent” level of satisfaction. You have to provide a high quantity of linear features to achieve a high level of satisfaction. Providing even an incompletely realized delighter can achieve high levels of customer satisfaction – shown where the red arrow in the diagram kicks up steeply. Practically speaking, it might be easier to achieve high customer satisfaction by working on delighters like fancy packaging, than by providing more of linear features like faster shipping. One thing to be aware of is that over time, features tend to migrate down the categories. For example, free shipping was a sure delighter not long ago. Now it’s practically a must-have, at least on the eBay and Amazon marketplaces. Watch out for features moving down the spectrum in this way. If you don’t keep up with changes in customer expectations, what used to be a good service can become merely average (or even poor) over time. How do you know if something is a must-have, a linear feature or a delighter? It isn’t always obvious, particularly if you are looking for features that will set your business apart from others – the delighters. You want to be sure you are getting it right before investing a lot of time and money. I expect it to be that way. It may sound like overkill, but it’s actually the combination of the two questions that make this a powerful technique. For example, you might ask how the customer would feel if product demo videos were present and they might answer “I like it that way”. When you also ask the question the other way – how would they feel if product videos were not present – they might say “I expect it to be that way” meaning this is an unexpected feature and therefore a delighter. Or they might say they “I dislike it that way” meaning the feature is very much expected and they would like as many product videos as possible – a linear feature. If surveying customers is not feasible, come up with your own score for each feature you are assessing. 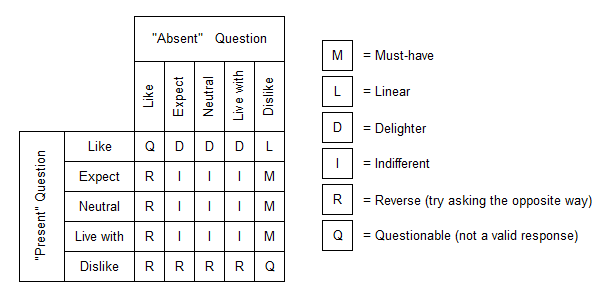 But like Kano’s questions, make sure that for each feature you score both the upside of it being present and the downside of it being absent. Something that has little upside, but a lot of downside is a must-have and should be provided. Something with a lot of upside and no downside is a delighter, and could be done but isn’t mandatory. I’m going to go out on a limb here, and say that not many online sellers think deeply about what would delight their customers. I think even fewer have used a structured approach to finding that out. But competition is always increasing. Those who do something different – something customers will remember – stand the best chance of survival and profit. Finding something that delights customers isn’t down to guesswork, luck and artistic flair. It can, like most things, be broken down and made part of a process. 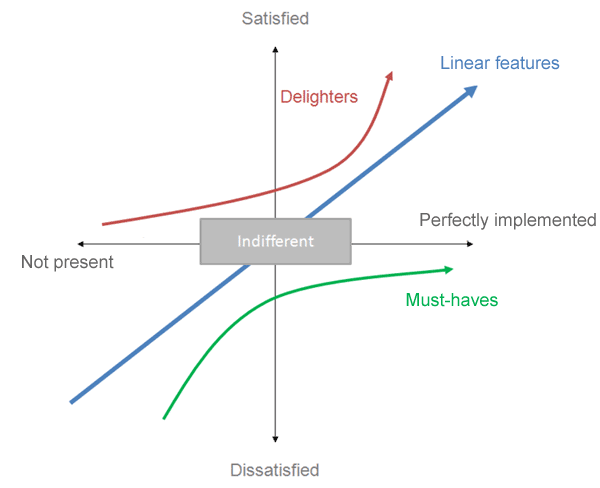 Try applying the Kano model to your business. If you keep a list of ideas, try assessing them with customers. If you’ve got all the must-haves covered, and are doing your best with the linear features, do you have any delighters in your business? Is it time to start thinking about adding some? I hope you have enjoyed this post, and found it useful. Let me know what you think in the comments below! Can you please provide a real life example how Kano is used ? I understand this is about positioning of the product in the market place.